The Haematology department is involved in the diagnosis and monitoring of conditions as diverse as anaemia, leukaemia, glandular fever and haemoglobinopathies. The department analyses approximately 1,800 full blood count samples daily using a state of the art, fully automated tracking system. Blood film morphology is routinely performed for a variety of reasons and can be requested by contacting the laboratory on ext 33244 or 33245. Samples need to be less than 24 hours old. Haemoglobinopathy screening, for sickle cell and thalassaemia, is undertaken by using HPLC. Any variant haemoglobins detected are identified by electrophoresis. Samples may be referred to King’s College Hospital, London for thalassaemia genotyping or variant identification. The laboratory is also the starting point for red cell enzyme and red cell membrane investigations but please discuss any such requests first by making contact on ext 33244 or 33245. Des Rogers is the laboratory lead for sickle cell, thalassaemia and other red cell related investigations. He can be contacted on ext 33244 or 33245 or by emailing Desmond.Rogers@nhs.net. In addition to time consuming thick and thin film review, an immunochromatographic antigenic test is used, which is particularly reliable for plasmodium falciparum. 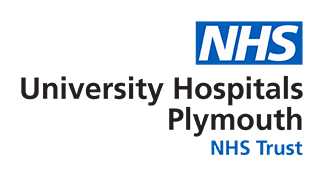 The stem cell section within Derriford Combined Laboratory processes autologous and allogeneic stem cell harvests for fresh infusion or cryopreservation as therapy for South West Peninsula haematology patients. These patients are from the Royal Cornwall, Torbay, Exeter and Derriford Hospitals. Peripheral blood, bone marrow and donor lymphocyte harvests are processed and stored by the DCL Biomedical Scientist team in an off-site clean room facility owned by Biovault Ltd. Cells are quantified by in house blood counts and flow cytometry, and are also tested for viability and sterility. The SW Peninsula Transplant Service has a well-developed Quality Programme and the service is JACIE accredited. The programme clinical director is Dr H Hunter. Enquiries can be directed to the stem cell lead Biomedical Scientist J Giles on Tel 0782 6892447.